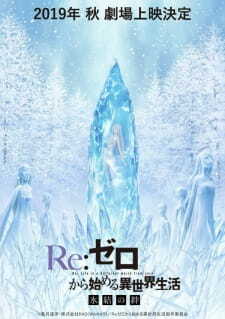 During the Re:Zero kara Hajimeru Isekai Seikatsu: Memory Snow OVA pre-screening event, it was announced that Re:Zero franchise will get another OVA. It will adapt the prequel novel "Hyouketsu no Kizuna" which was included in first Blu-ray and DVD volume of the TV series. The episode will revolve around Emilia and her meeting with Pack during the journey to Roswaal Mansion to be a candidate for the royal election.